Many organizations are looking for the same results from their marketing campaigns. Whether it's awareness of a key benefit, more products sold, or bigger and better clients, it's easy to look far down the road and imagine what success will look like from marketing. Where organizations can struggle is understanding the strategic roadmap to reach those goals, what metrics they need to track, and how to build a process that makes campaign success a probability and not a prayer. Every marketing campaign without clear goals is just mindless activity that won't connect to the critical needs of the organization. Every business that sets their marketing goals without developing the actual activity that will get them there is just throwing darts. Clear digital marketing strategy with a precise roadmap of goals, plans, and tasks is the key to developing a campaign that can actually measure success. To help us reach our goal of 10 new customers per month, we'll need to increase monthly web traffic to 4,600 visits and grow the number of them converted to leads. Building a roadmap using this funnel approach helps you set aggressive but attainable goals, and further develop metrics and activity that will help fill the funnel as needed. One huge area we've seen campaigns go wrong is by tracking the wrong metrics, or worse, disagreeing about which metrics are right. Fortunately, our roadmap and funnel can help get us started understanding the right ways to measure success in our campaign. For Revenue River, we don't track metrics that we can't prove have an impact on the bottom line goal. Every tweet, every email, and every new website page need to connect to the overall goals for the campaign. It might be exciting to grow the Twitter followers for the company account, but if we know that our chances of finding qualified leads and customers through that medium are low, then it's nice to have, but not meaningful to measuring success against our goals. As long as we can map strategic actions to the goals they will help achieve, we're on the right track. Another area where campaigns can struggle is by understanding the right metrics, but racing to the bottom-line results before the funnel can support them. We want to get more qualified leads, but despite our best efforts, we can't create them out of thin air. We need regular leads to nurture, and we need increased site traffic to convert into those leads. The inbound marketing process takes time, and with a strategic roadmap you can develop a campaign that creates results that you can track and analyze. Choosing metrics to track is critical because your campaign will hit bumps along the road. If digital marketing was easy, everyone would be winning. But when you recognize the most important metrics that connect to your goals, you can track how your activity (or lack thereof) is impacting those metrics and make qualified decisions to double down or change course and try to impact them in another way. But without the roadmap, and without the key metrics to track, you're just playing a guessing game to move the needle and hit your goals. You built a roadmap with clear goals, you tracked the right metrics, and you've clearly been successful in your campaign. Now it's January 1st, and it's time to do it again. Success of a marketing campaign will never be a one-and-done situation, and there will never be a single roadmap, campaign strategy, or playbook that can replicate the same results year over year. What can help you replicate success is the process your organization uses to develop the campaign, track and analyze the results, and find the next evolution of strategy. Having an annual plan that focused on the important goals and the plan to get there is key, but it can be too rigid to make decisions in January about actions you will take in October. Breaking your annual marketing down into thirds or quarters allows you more opportunity to use the processes you are developing to make decisions based on results about the tactics you use to reach goals. This gives you smaller sprints of activity to track and gauge success that will feed into your annual goals, and allow you to expand or pivot your activity based on what is or isn't working. An effective process isn't about using the same strategy year after year, it's about having the discipline to plan, analyze, and act in response to results and in service to your goals. This gives you the ability to not only hit your goals this quarter, but this year, and next year -- because you are planning to adapt and replicate success, not specific actions or strategies. Measuring the success of a marketing campaign can be a challenge. Even for seasoned pros, the temptation to focus too big, or too granular, will always be there. Asking tough questions about what strategy and plans you need to accomplish on a weekly and monthly basis will give you a roadmap to your annual goals. Tracking those activities and adjusting as needed will help you see growth in the key metrics that will ultimately help the bottom line. Finally, utilizing a clear process to plan your strategy, bring it to live, and follow the results this year will help you do it again in the future. With so many terms and metrics and numbers involved in the digital marketing ecosystem, it can be tough to know what to measure. By starting with goals and plans and building the strategy to actualize them, you'll be able to cut through the noise and measure success effectively. Nathan Miller was one of the first hires at Revenue River. He’s worn many hats; writer, social media guru, ecommerce manager and now director of sales and marketing. 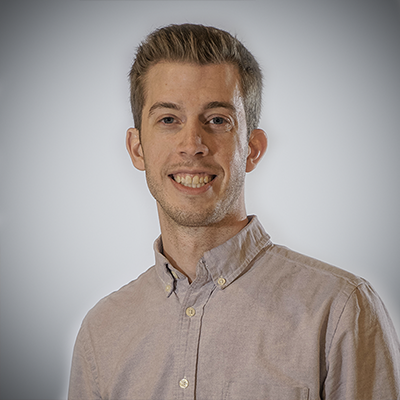 Nathan develops client relationships and oversees their sales, branding and marketing strategy. Revenue River wouldn’t have a presence on the East Coast if it weren’t for Nathan. As the head of Revenue River’s New York office it’s his responsibility to make sure we’re all up to speed on glitter beards and handle bar mustaches. He..